Loyal listener Manuel requested this week’s topic – another Roger Corman classic that also happens to be Francis Ford Coppola’s first “legitimate” feature film. Filmed in 9 days for about $40,000, this film is not without its flaws, but really, what more can you expect from its pedigree? 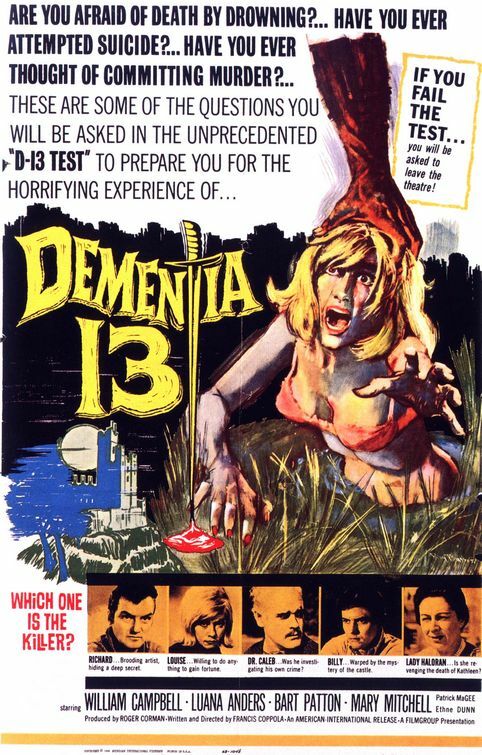 This entry was posted in and tagged dementia 13, francis ford coppola, Horror, mystery, podcast. Bookmark the permalink.